AmeriSave Review 2019 | Top 10 Mortgage Loans. Amerisave is a full service mortgage lender, with a huge variety of loans, including fixed and variable rates of 10 and 25 year terms and a straightforward application with expert customer service. Based in Atlanta, Georgia, AmeriSave Mortgage Corporation has established itself as one of the premier names in the mortgage loans and refinancing industry. The company was established in 2002, and has since expanded its service to 49 states and the District of Columbia. Today, the company offers a quick and straightforward way for potential homeowners and prospective buyers to uncover the loans they need and access funds efficiently. AmeriSave has expanded to employ more than 500 mortgage specialists, and funds billions in home loans every year. Moreover, the company offers a wide variety of mortgage options, including conventional, jumbo, FHA, VA and USDA loans. One of the biggest benefits AmeriSave offers its customers is its ability to originate and underwrite mortgages. the company has a large team of specialists and makes the lending and application process as straightforward as possible for prospective borrowers. Customers can apply for their loans via several channels with AmeriSave. the company offers a quick initial process and is known for its flexibility in meeting its customers’ needs to finalize loans for both refinancing and home purchases. Potential borrowers can start the application via AmeriSave’s website or over the phone. To begin the process online, a customer selects the rate and term option from a variety of options and completes the loan application. The online application does include a hard credit inquiry for pre approval. Customers can then upload their documents and even e-sign them to expedite the process. In addition, prospective home buyers are able to apply for a mortgage before or after they have a property in mind, with the process operating similarly. The company does have a minimum credit requirement for most of its available loan products. FHA loans have a minimum score of 600 while other products require a score of 620. It is important to keep in mind that some options might require a higher credit score, such as jumbo loans. For its more traditional mortgage loan options, the company offers competitive interest rates and terms. Most importantly, AmeriSave works to give customers the information they need to make the best choices. Prospective borrowers can visualize how much their mortgage payments would be, the difference between purchasing and renting and what types of homes they can afford. Additionally, they can look at current and past interest rates in graphical form, which provides a helpful display for understanding the ways the housing market may change. AmeriSave also features a variety of blog posts, articles and guides related to borrowing, mortgages, and personal finances. Adjustable rate loans generally feature lower interest rates than their fixed-rate counterparts. The company’s government backed loan programs offer fixed-rate mortgages for both 15 and 30 years, except for USDA loans, which are only available with 30 year repayment terms. Customers can rest easy knowing that AmeriSave is transparent about its data gathering and security practices. The company does not collect information for targeted advertising purposes, although it does accumulate some sensitive customer information during the application and approval process. All information is kept safe in secure data servers that feature several physical and virtual protection measures. Furthermore, data is encrypted using industry-standard methods during both transmission and storage. To get in touch with AmeriSave, customers can either call or email the company. the company’s call centers are available toll-free Monday through Friday between 8:00 am and 5:00 pm ET. The company can handle the whole application and approval process by phone, and many customers do prefer this option. We found that support staff were well trained and able to answer our questions promptly and effectively. Email responses took between one and two business days and generally resolved all our inquiries. Customers can also find answers directly on AmeriSave’s website, which features an informative FAQ section. So, Should you Borrow with AmeriSave? 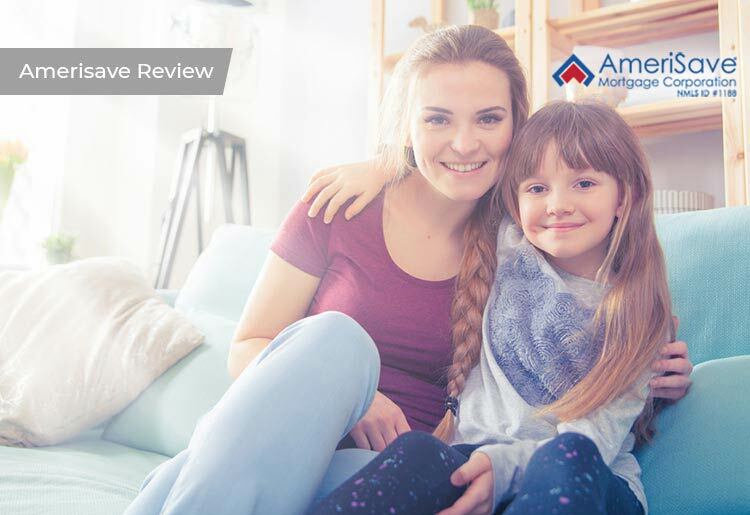 Thanks to a fully in-house process and a variety of loan options, AmeriSave is a good choice for customers seeking a mortgage. The company offers both traditional mortgages and several government backed loan options. More importantly, its variety of loan repayment terms give borrowers flexibility to find the right choice for their impending home purchase or home refinance. A straightforward application process also helps customers close on their homes more quickly, meaning that borrowers need not worry about lengthy and complicated interactions with banks and other lenders. How does Amerisave verify my assets? Amerisave offers paperless asset verification through AccountChek. The information you send is safe, secure and checked for accuracy, with Amerisave providing fast customer support through the process. The amount of reserves you need varies depending on the loan product and program you are applying for. An appraisal from a state governed, licensed professional that gives a fair value estimate of the property based on sales of similar homes in the area and the features of the property (such as yard, basement, garage, number of bedrooms). It is done in order to assess the value of the property you are purchasing or refinancing. When can I refinance with Amerisave? Typically, your name must be on the title of the home for 6 months prior to application for a refinance loan. If you have some equity on your home, meaning you owe less money than the home is worth, you should be able to refinance and get some of the equity back in cash or have improved loan conditions. Can I get a mortgage from Amerisave and have pre-existing student loans? You can get an Amerisave mortgage with student loans. Your debt-to-income ratio will be a factor in determining which types of mortgages you can obtain with favorable rates. A good credit history, showing consistent and timely payment of your student loans) will help with your Amerisave mortgage approval.